Bernadette was the oldest of 6 children in a very poor family headed by Francois and Louise Casterot. She was hired out as a servant from age 12 to 14. She was a shepherdess. On 11 February 1858, around the time of her first Communion, she received a vision of the Virgin. She received 18 more in the next 5 months, and was led to a spring of healing waters. She moved into a house with the sisters of Nevers at Lourdes where she lived, worked, and learned to read and write. 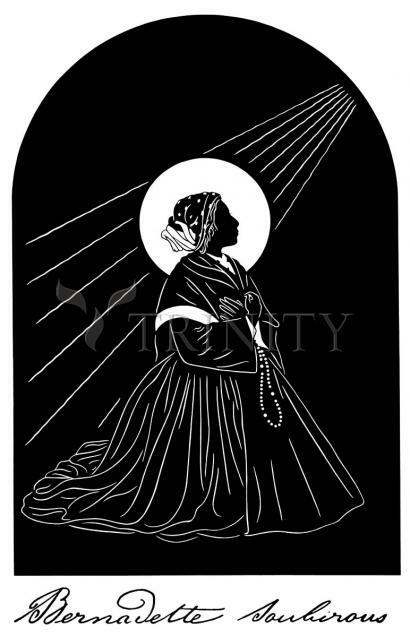 The sisters cared to the sick and indigent, and at age 22 they admitted Bernadette into their order since she was both. Always sick, and often mistreated by her superiors, she died with a prayer for Mary's aid. Bernedette’s body is incorruptible. Since the appearances of Mary to young Bernadette in 1858, more than 200 million people have visited the shrine of Lourdes.